Hybrid LE trim, BLUEPRINT exterior and BLACK interior. Smart Device Integration, WiFi Hotspot, Lane Keeping Assist, Back-Up Camera, Aluminum Wheels, CARPET MAT PACKAGE (TMS), Hybrid. FUEL EFFICIENT 52 MPG Hwy/53 MPG City! CLICK NOW!KEY FEATURES INCLUDEBack-Up Camera, Hybrid, iPod/MP3 Input, Onboard Communications System, Aluminum Wheels, Keyless Start, Smart Device Integration, WiFi Hotspot, Lane Keeping Assist MP3 Player, Keyless Entry, Remote Trunk Release, Steering Wheel Controls, Child Safety Locks.OPTION PACKAGESCARPET MAT PACKAGE (TMS) carpet floor mats and trunk mat. Toyota Hybrid LE with BLUEPRINT exterior and BLACK interior features a 4 Cylinder Engine with 121 HP at 5200 RPM*.EXPERTS CONCLUDEGreat Gas Mileage: 53 MPG City.VISIT US TODAYBaxter Toyota La Vista, a full-service Toyota dealership serving Omaha, offers new, used and certified pre-owned cars. We're part of Baxter Auto, the largest dealer group in Nebraska. Located off I-80 and Harrison Street, our showroom is designed with you in mind. You can shop the complete lineup of new Toyota models in our showroom or walk our lot to browse our selection of used vehicles.Horsepower calculations based on trim engine configuration. Fuel economy calculations based on original manufacturer data for trim engine configuration. Please confirm the accuracy of the included equipment by calling us prior to purchase. BLUEPRINT exterior and LIGHT GRAY interior, Hybrid LE trim. FUEL EFFICIENT 52 MPG Hwy/53 MPG City! Lane Keeping Assist, WiFi Hotspot, Smart Device Integration, Back-Up Camera, FOUR SEASON FLOOR LINERS/MAT PACKAGE, Aluminum Wheels READ MORE!KEY FEATURES INCLUDEBack-Up Camera, Hybrid, iPod/MP3 Input, Keyless Start, Smart Device Integration, Lane Keeping Assist, WiFi Hotspot MP3 Player, Onboard Communications System, Aluminum Wheels, Keyless Entry, Remote Trunk Release.OPTION PACKAGESFOUR SEASON FLOOR LINERS/MAT PACKAGE Carpet Mat Package (TMS), carpet floor mats and trunk mat, All-Weather Floor Liners. 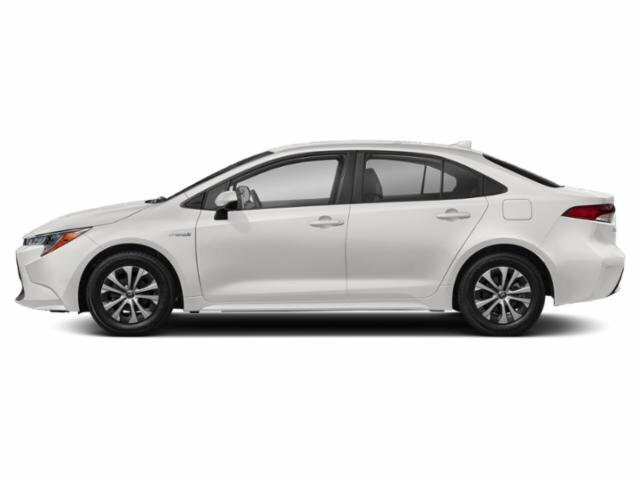 Toyota Hybrid LE with BLUEPRINT exterior and LIGHT GRAY interior features a 4 Cylinder Engine with 121 HP at 5200 RPM*.EXPERTS REPORTGreat Gas Mileage: 53 MPG City.VISIT US TODAYBaxter Toyota Lincoln, a full-service Toyota dealership, offers new, used and certified pre-owned cars. We're part of Baxter Auto, the largest dealer group in Nebraska. You can shop the complete lineup of new Toyota models in our showroom or walk our lot to browse our selection of used vehicles.Horsepower calculations based on trim engine configuration. Fuel economy calculations based on original manufacturer data for trim engine configuration. Please confirm the accuracy of the included equipment by calling us prior to purchase. Heated Seats, Moonroof, CD Player, ALL-WEATHER FLOOR LINER PACKAGE, Aluminum Wheels, Back-Up Camera, iPod/MP3 Input, Satellite Radio. BLACK SAND PEARL exterior and BLACK interior, XLE trim. EPA 37 MPG Hwy/29 MPG City! SEE MORE!KEY FEATURES INCLUDEHeated Driver Seat, Back-Up Camera, Satellite Radio, iPod/MP3 Input, CD Player MP3 Player, Sunroof, Onboard Communications System, Aluminum Wheels, Remote Trunk Release.OPTION PACKAGESALL-WEATHER FLOOR LINER PACKAGE cargo tray, All-Weather Floor Liners. 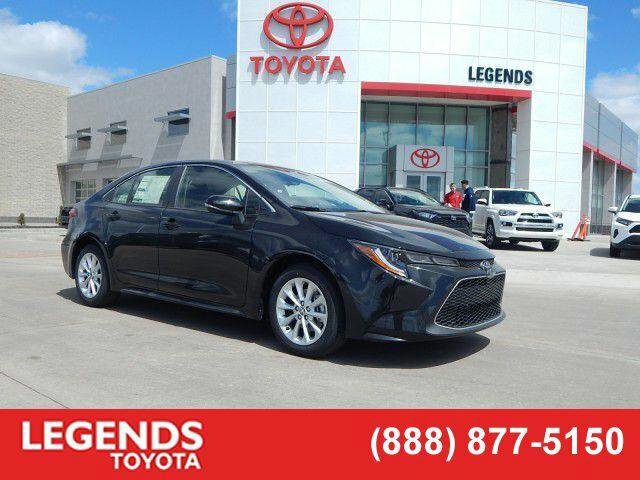 Toyota XLE with BLACK SAND PEARL exterior and BLACK interior features a 4 Cylinder Engine with 139 HP at 6100 RPM*.EXPERTS RAVEGreat Gas Mileage: 37 MPG Hwy.WHO WE ARELegends Toyota, an award-winning, full-service Toyota dealership, offers new, used and certified pre-owned cars. We're part of Baxter Auto, a Midwest dealer group serving Kansas City, KS, Omaha, NE and Lincoln, NE. At Legends Toyota, we're driven to be the best Toyota dealer in Kansas City. We're conveniently located at 10100 Parallel Parkway, Kansas City, KS 66109, just north of I-70. Shop our inventory online and request an e-price.Horsepower calculations based on trim engine configuration. Fuel economy calculations based on original manufacturer data for trim engine configuration. Please confirm the accuracy of the included equipment by calling us prior to purchase. SE trim, CELESTITE GRAY ME. (TBD) exterior and MOONSTONE interior. Smart Device Integration, Lane Keeping Assist, Back-Up Camera, FOUR SEASON FLOOR LINERS/MAT PACKAGE, Alloy Wheels. FUEL EFFICIENT 40 MPG Hwy/31 MPG City! SEE MORE!KEY FEATURES INCLUDEBack-Up Camera, iPod/MP3 Input, Onboard Communications System, Aluminum Wheels, WiFi Hotspot, Smart Device Integration, Lane Keeping Assist Rear Spoiler, MP3 Player, Keyless Entry, Remote Trunk Release, Steering Wheel Controls.OPTION PACKAGESFOUR SEASON FLOOR LINERS/MAT PACKAGE Carpet Mat Package (TMS), carpet floor mats and trunk mat, All-Weather Floor Liners. Toyota SE with CELESTITE GRAY ME. 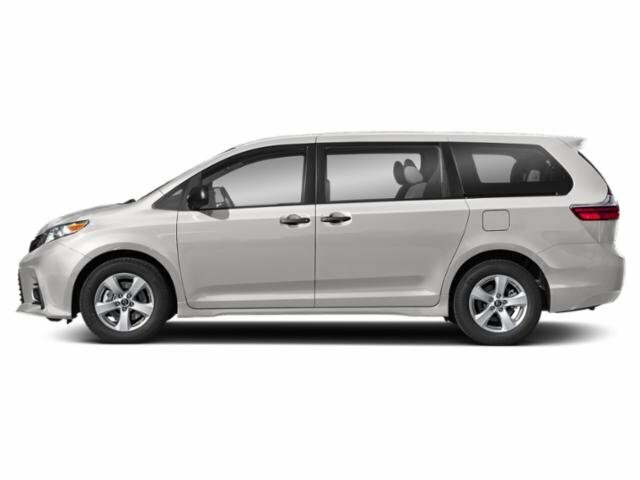 (TBD) exterior and MOONSTONE interior features a 4 Cylinder Engine with 169 HP at 6600 RPM*.EXPERTS ARE SAYINGGreat Gas Mileage: 40 MPG Hwy.BUY FROM AN AWARD WINNING DEALERBaxter Toyota La Vista, a full-service Toyota dealership serving Omaha, offers new, used and certified pre-owned cars. We're part of Baxter Auto, the largest dealer group in Nebraska. Located off I-80 and Harrison Street, our showroom is designed with you in mind. You can shop the complete lineup of new Toyota models in our showroom or walk our lot to browse our selection of used vehicles.Horsepower calculations based on trim engine configuration. Fuel economy calculations based on original manufacturer data for trim engine configuration. Please confirm the accuracy of the included equipment by calling us prior to purchase. FUEL EFFICIENT 52 MPG Hwy/53 MPG City! Hybrid LE trim, SUPER WHITE exterior and LIGHT GRAY interior. WiFi Hotspot, Smart Device Integration, ALL-WEATHER FLOOR LINER PACKAGE, Alloy Wheels, Back-Up Camera, Keyless Start. READ MORE!KEY FEATURES INCLUDEBack-Up Camera, iPod/MP3 Input, Keyless Start, Smart Device Integration, WiFi Hotspot MP3 Player, Hybrid, Onboard Communications System, Aluminum Wheels, Keyless Entry.OPTION PACKAGESALL-WEATHER FLOOR LINER PACKAGE cargo tray, All-Weather Floor Liners. Toyota Hybrid LE with SUPER WHITE exterior and LIGHT GRAY interior features a 4 Cylinder Engine with 121 HP at 5200 RPM*.EXPERTS CONCLUDEGreat Gas Mileage: 53 MPG City.WHO WE ARELegends Toyota, an award-winning, full-service Toyota dealership, offers new, used and certified pre-owned cars. We're part of Baxter Auto, a Midwest dealer group serving Kansas City, KS, Omaha, NE and Lincoln, NE. At Legends Toyota, we're driven to be the best Toyota dealer in Kansas City. We're conveniently located at 10100 Parallel Parkway, Kansas City, KS 66109, just north of I-70. Shop our inventory online and request an e-price.Horsepower calculations based on trim engine configuration. Fuel economy calculations based on original manufacturer data for trim engine configuration. Please confirm the accuracy of the included equipment by calling us prior to purchase. EPA 38 MPG Hwy/30 MPG City! WiFi Hotspot, Lane Keeping Assist, FOUR SEASON FLOOR LINERS/MAT PACKAGE, Back-Up Camera, iPod/MP3 Input, Smart Device Integration. LE trim, CLASSIC SILVER METALLIC exterior and BLACK interior CLICK ME!KEY FEATURES INCLUDEBack-Up Camera, iPod/MP3 Input, Onboard Communications System, Smart Device Integration, Lane Keeping Assist, WiFi Hotspot MP3 Player, Keyless Entry, Remote Trunk Release, Child Safety Locks, Steering Wheel Controls.OPTION PACKAGESFOUR SEASON FLOOR LINERS/MAT PACKAGE Carpet Mat Package (TMS), carpet floor mats and trunk mat, All-Weather Floor Liners. Toyota LE with CLASSIC SILVER METALLIC exterior and BLACK interior features a 4 Cylinder Engine with 139 HP at 6100 RPM*.EXPERTS ARE SAYINGGreat Gas Mileage: 38 MPG Hwy.VISIT US TODAYBaxter Toyota La Vista, a full-service Toyota dealership serving Omaha, offers new, used and certified pre-owned cars. We're part of Baxter Auto, the largest dealer group in Nebraska. Located off I-80 and Harrison Street, our showroom is designed with you in mind. You can shop the complete lineup of new Toyota models in our showroom or walk our lot to browse our selection of used vehicles.Horsepower calculations based on trim engine configuration. Fuel economy calculations based on original manufacturer data for trim engine configuration. Please confirm the accuracy of the included equipment by calling us prior to purchase. Heated Seats, Sunroof, CD Player, ALL-WEATHER FLOOR LINER PACKAGE, Alloy Wheels, Back-Up Camera, iPod/MP3 Input, Satellite Radio. FUEL EFFICIENT 38 MPG Hwy/31 MPG City! BLUE CRUSH METALLIC exterior and BLACK interior, XSE trim READ MORE!KEY FEATURES INCLUDEHeated Driver Seat, Back-Up Camera, Satellite Radio, iPod/MP3 Input, CD Player Rear Spoiler, MP3 Player, Sunroof, Onboard Communications System, Aluminum Wheels.OPTION PACKAGESALL-WEATHER FLOOR LINER PACKAGE cargo tray, All-Weather Floor Liners. Toyota XSE with BLUE CRUSH METALLIC exterior and BLACK interior features a 4 Cylinder Engine with 169 HP at 6600 RPM*.EXPERTS RAVEGreat Gas Mileage: 38 MPG Hwy.MORE ABOUT USLegends Toyota, an award-winning, full-service Toyota dealership, offers new, used and certified pre-owned cars. We're part of Baxter Auto, a Midwest dealer group serving Kansas City, KS, Omaha, NE and Lincoln, NE. At Legends Toyota, we're driven to be the best Toyota dealer in Kansas City. We're conveniently located at 10100 Parallel Parkway, Kansas City, KS 66109, just north of I-70. Shop our inventory online and request an e-price.Horsepower calculations based on trim engine configuration. Fuel economy calculations based on original manufacturer data for trim engine configuration. Please confirm the accuracy of the included equipment by calling us prior to purchase. DVD, 3rd Row Seat, Sunroof, Heated Leather Seats, NAV, Power Liftgate, XLE PREMIUM PACKAGE, FOUR SEASON FLOOR LINER/MAT PACKAGE. PREDAWN GRAY MICA exterior and ASH interior, XLE Premium trim. EPA 24 MPG Hwy/18 MPG City! AND MORE!KEY FEATURES INCLUDELeather Seats, Third Row Seat, Navigation, DVD, Quad Bucket Seats, Power Liftgate, Rear Air, Heated Driver Seat, Back-Up Camera, Satellite Radio, iPod/MP3 Input, Bluetooth, CD Player, Keyless Start, Dual Zone A/C. Rear Spoiler, MP3 Player, Power Third Passenger Door, Sunroof, All Wheel Drive.OPTION PACKAGESPROTECTION PACKAGE lower door moldings, mudguards, door edge guards and alloy wheel locks, FOUR SEASON FLOOR LINER/MAT PACKAGE carpet floor mats, all-weather floor liners and door sill protectors, XLE PREMIUM PACKAGE 4-Corner/Back Clearance & Back Sonar, HomeLink, electrochromic rearview mirror. Toyota XLE Premium with PREDAWN GRAY MICA exterior and ASH interior features a V6 Cylinder Engine with 296 HP at 6600 RPM*.EXPERTS CONCLUDEEdmunds.com explains A strong V6 makes the Sienna one of the quickest minivans on the market.. Great Gas Mileage: 24 MPG Hwy.OUR OFFERINGSBaxter Toyota Lincoln, a full-service Toyota dealership, offers new, used and certified pre-owned cars. We're part of Baxter Auto, the largest dealer group in Nebraska. You can shop the complete lineup of new Toyota models in our showroom or walk our lot to browse our selection of used vehicles.Horsepower calculations based on trim engine configuration. Fuel economy calculations based on original manufacturer data for trim engine configuration. Please confirm the accuracy of the included equipment by calling us prior to purchase. Third Row Seat, Navigation, Moonroof, Heated Leather Seats, Power Liftgate, Trailer Hitch, FOUR SEASON FLOOR LINER/MAT PACKAGE. FUEL EFFICIENT 26 MPG Hwy/20 MPG City! Limited trim, SHORELINE BLUE PEARL exterior and ASH interior CLICK ME!KEY FEATURES INCLUDELeather Seats, Third Row Seat, Navigation, Quad Bucket Seats, Power Liftgate, Rear Air, Heated Driver Seat, Cooled Driver Seat, Back-Up Camera, Premium Sound System, Satellite Radio, iPod/MP3 Input, Bluetooth, Keyless Start, Dual Zone A/C. Rear Spoiler, MP3 Player, Sunroof, All Wheel Drive, Chrome Wheels.OPTION PACKAGESTOW HITCH RECEIVER & WIRING HARNESS PACKAGE Tow Hitch, Wiring Harness, FOUR SEASON FLOOR LINER/MAT PACKAGE Carpet Cargo Mat, All Weather Floor Liners, Carpet Floor Mats. Toyota Limited with SHORELINE BLUE PEARL exterior and ASH interior features a V6 Cylinder Engine with 295 HP at 6600 RPM*.VEHICLE REVIEWSEdmunds.com explains Thanks to its just-right size, the Highlander is also easy to maneuver around town and does so at near-luxury levels of quiet and comfort. The suspension smooths out all the bumps and ruts in the road commendably well.. Great Gas Mileage: 26 MPG Hwy.VISIT US TODAYBaxter Toyota Lincoln, a full-service Toyota dealership, offers new, used and certified pre-owned cars. We're part of Baxter Auto, the largest dealer group in Nebraska. You can shop the complete lineup of new Toyota models in our showroom or walk our lot to browse our selection of used vehicles.Horsepower calculations based on trim engine configuration. Fuel economy calculations based on original manufacturer data for trim engine configuration. Please confirm the accuracy of the included equipment by calling us prior to purchase. Third Row Seat, Moonroof, Navigation, Heated Leather Seats, Power Liftgate, All Wheel Drive, TOW HITCH RECEIVER & WIRING HARNESS P... FUEL EFFICIENT 26 MPG Hwy/20 MPG City! PREDAWN GRAY MICA exterior and BLACK interior SEE MORE!KEY FEATURES INCLUDELeather Seats, Third Row Seat, Navigation, Quad Bucket Seats, Power Liftgate, Rear Air, Heated Driver Seat, Back-Up Camera, Satellite Radio, iPod/MP3 Input, Bluetooth, CD Player, Keyless Start, Dual Zone A/C, Lane Keeping Assist Rear Spoiler, MP3 Player, Sunroof, All Wheel Drive, Aluminum Wheels.OPTION PACKAGESTOW HITCH RECEIVER & WIRING HARNESS PACKAGE Tow Hitch, Wiring Harness, FOUR SEASON FLOOR LINER/MAT PACKAGE Carpet Cargo Mat, All Weather Floor Liners, Carpet Floor Mats. Toyota XLE with PREDAWN GRAY MICA exterior and BLACK interior features a V6 Cylinder Engine with 295 HP at 6600 RPM*.EXPERTS ARE SAYINGEdmunds.com explains Thanks to its just-right size, the Highlander is also easy to maneuver around town and does so at near-luxury levels of quiet and comfort. The suspension smooths out all the bumps and ruts in the road commendably well.. Great Gas Mileage: 26 MPG Hwy.WHY BUY FROM USBaxter Toyota Lincoln, a full-service Toyota dealership, offers new, used and certified pre-owned cars. We're part of Baxter Auto, the largest dealer group in Nebraska. You can shop the complete lineup of new Toyota models in our showroom or walk our lot to browse our selection of used vehicles.Horsepower calculations based on trim engine configuration. Fuel economy calculations based on original manufacturer data for trim engine configuration. Please confirm the accuracy of the included equipment by calling us prior to purchase. SR5 trim, SILVER SKY METALLIC exterior and BLACK interior. Bluetooth, iPod/MP3 Input, Brake Actuated Limited Slip Differential, CD Player, Satellite Radio, SR5 UPGRADE PACKAGE, ALL WEATHER FLOOR LINER & DOOR SILL P... Tow Hitch SEE MORE!KEY FEATURES INCLUDEBack-Up Camera, Flex Fuel, Satellite Radio, iPod/MP3 Input, Bluetooth, CD Player, Trailer Hitch, Brake Actuated Limited Slip Differential MP3 Player, 4x4, Keyless Entry, Privacy Glass, Child Safety Locks.OPTION PACKAGESSR5 UPGRADE PACKAGE front center console w/3 cupholders and replaces standard equipment column shifter w/floor mounted urethane shift lever and knob, Urethane Tilt/Telescopic Steering Wheel, Anti-Theft Immobilizer w/Alarm, Front Bucket Seats, 8-way power-adjustable driver's seat w/power lumbar support and 4-way manual adjustable front passenger seat, 38 Gallon Fuel Tank Capacity, WHEELS: 18 X 8J 5-SPOKE ALLOY Tires: P275/65R18 AS, ALL WEATHER FLOOR LINER & DOOR SILL PROTECTOR PKG. Toyota SR5 with SILVER SKY METALLIC exterior and BLACK interior features a 8 Cylinder Engine with 381 HP at 5600 RPM*.EXPERTS CONCLUDEEdmunds.com explains Side to side, front and back, headroom and legroom you name it, there's lots of it everywhere..OUR OFFERINGSBaxter Toyota Lincoln, a full-service Toyota dealership, offers new, used and certified pre-owned cars. We're part of Baxter Auto, the largest dealer group in Nebraska. You can shop the complete lineup of new Toyota models in our showroom or walk our lot to browse our selection of used vehicles.Horsepower calculations based on trim engine configuration. Please confirm the accuracy of the included equipment by calling us prior to purchase. Sunroof, NAV, Heated Seats, CD Player, Smart Device Integration, Alloy Wheels, Tow Hitch, POWER TILT/SLIDE MOONROOF W/SUNSHADE, 4x4. MAGNETIC GRAY METALLIC exterior and BLACK GRAPHITE interior, TRD Off Road Premium trim. READ MORE!KEY FEATURES INCLUDENavigation, Heated Driver Seat, Back-Up Camera, Satellite Radio, iPod/MP3 Input, CD Player, Trailer Hitch, Smart Device Integration, Heated Seats Rear Spoiler, MP3 Player, 4x4, Onboard Communications System, Aluminum Wheels.OPTION PACKAGESPOWER TILT/SLIDE MOONROOF W/SUNSHADE Moonroof w/Tilt Up & Slide. Toyota TRD Off Road Premium with MAGNETIC GRAY METALLIC exterior and BLACK GRAPHITE interior features a V6 Cylinder Engine with 270 HP at 5600 RPM*.MORE ABOUT USBaxter Toyota Lincoln, a full-service Toyota dealership, offers new, used and certified pre-owned cars. We're part of Baxter Auto, the largest dealer group in Nebraska. You can shop the complete lineup of new Toyota models in our showroom or walk our lot to browse our selection of used vehicles.Horsepower calculations based on trim engine configuration. Please confirm the accuracy of the included equipment by calling us prior to purchase. NAV, Back-Up Camera, RADIO: ENTUNE PREMIUM AUDIO WITH NAVI... Tow Hitch, 4x4, Alloy Wheels. SR5 trim, MAGNETIC GRAY METALLIC exterior and BLACK GRAPHITE interior. Warranty 5 yrs/60k Miles - Drivetrain Warranty; AND MORE!KEY FEATURES INCLUDEBack-Up Camera, Trailer Hitch. Rear Spoiler, 4x4, Onboard Communications System, Aluminum Wheels, Keyless Entry.OPTION PACKAGESRADIO: ENTUNE PREMIUM AUDIO WITH NAVIGATION Entune Multimedia bundle (6.1 high resolution touch-screen w/split screen display, AM/FM CD player w/MP3/WMA playback capability, 8 speakers, auxiliary audio jack, USB 2.0 port w/iPod connectivity and control, advanced voice recognition, hands-free phone capability, phone book access and music streaming via Bluetooth wireless technology), Siri Eyes Free, Entune AppSuite, HD Radio, HD Radio predictive traffic and Doppler weather overlay, AM/FM cache radio, SiriusXM satellite radio w/3-month complimentary all access trial, Gracenote album cover art and integrated backup camera display w/projected path, Entune App Suite includes Destination Search, iHeartRadio, MovieTickets.com, OpenTable, Pandora, Facebook Places, Yelp and Slacker Radio; real-time. 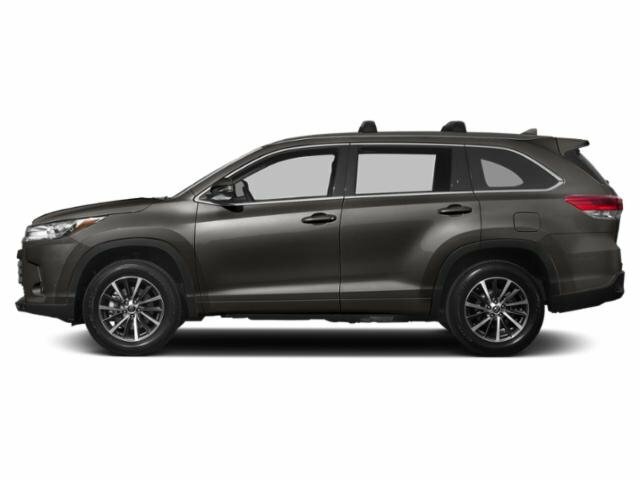 Toyota SR5 with MAGNETIC GRAY METALLIC exterior and BLACK GRAPHITE interior features a V6 Cylinder Engine with 270 HP at 5600 RPM*.WHO WE AREBaxter Toyota Lincoln, a full-service Toyota dealership, offers new, used and certified pre-owned cars. We're part of Baxter Auto, the largest dealer group in Nebraska. You can shop the complete lineup of new Toyota models in our showroom or walk our lot to browse our selection of used vehicles.Horsepower calculations based on trim engine configuration. Please confirm the accuracy of the included equipment by calling us prior to purchase. WiFi Hotspot, Smart Device Integration, Brake Actuated Limited Slip Differential, Back-Up Camera, REAR SPOILER, Alloy Wheels, Keyless Start. BLUE FLAME exterior and BLACK interior, SE trim. FUEL EFFICIENT 42 MPG Hwy/32 MPG City! CLICK ME!KEY FEATURES INCLUDEBack-Up Camera, iPod/MP3 Input, Keyless Start, Lane Keeping Assist, Brake Actuated Limited Slip Differential, WiFi Hotspot, Smart Device Integration MP3 Player, Onboard Communications System, Aluminum Wheels, Keyless Entry, Steering Wheel Controls.OPTION PACKAGESREAR SPOILER. Toyota SE with BLUE FLAME exterior and BLACK interior features a 4 Cylinder Engine with 168 HP at 6600 RPM*.EXPERTS RAVEnewCarTestDrive.com's review says With its new, more powerful engine, the 2019 hatchback conveys the promise that today's Corolla no longer needs to be viewed in strictly practical terms.. Great Gas Mileage: 42 MPG Hwy.BUY FROM AN AWARD WINNING DEALERBaxter Toyota Lincoln, a full-service Toyota dealership, offers new, used and certified pre-owned cars. We're part of Baxter Auto, the largest dealer group in Nebraska. You can shop the complete lineup of new Toyota models in our showroom or walk our lot to browse our selection of used vehicles.Horsepower calculations based on trim engine configuration. Fuel economy calculations based on original manufacturer data for trim engine configuration. Please confirm the accuracy of the included equipment by calling us prior to purchase. FUEL EFFICIENT 42 MPG Hwy/32 MPG City! Lane Keeping Assist, REAR SPOILER, SE OPTION PACKAGE, Aluminum Wheels, Brake Actuated Limited Slip Differential, Back-Up Camera. GALACTIC AQUA MICA exterior and MOONSTONE interior, SE trim AND MORE!KEY FEATURES INCLUDEBack-Up Camera, Brake Actuated Limited Slip Differential, Lane Keeping Assist. Aluminum Wheels, Keyless Entry, Steering Wheel Controls, Child Safety Locks, Heated Mirrors.OPTION PACKAGESSE OPTION PACKAGE Blind Spot Monitoring, lane change assist (LCA), Radio: Entune 3.0 Premium Audio, SiriusXM w/cache radio, Entune 3.0 connected services, service connect, remote connect, 8 inch touchscreen, 6 speakers, Siri Eyes Free & Apple CarPlay compatible, Amazon Alexa enabled, Entune 3.0 app suite, safety connect, Wi-Fi connect powered by Verizon, Scout GPS link compatible, aux port and USB media port, AM/FM, voice recognition training and tutorials, hands-free phone capability, voice recognition and music streaming via Bluetooth, customizable home screen and weather/traffic info via Entune 3.0 app suite, Satellite Radio, REAR SPOILER. Toyota SE with GALACTIC AQUA MICA exterior and MOONSTONE interior features a 4 Cylinder Engine with 168 HP at 6600 RPM*.EXPERTS ARE SAYINGnewCarTestDrive.com explains With its new, more powerful engine, the 2019 hatchback conveys the promise that today's Corolla no longer needs to be viewed in strictly practical terms.. Great Gas Mileage: 42 MPG Hwy.WHO WE AREBaxter Toyota Lincoln, a full-service Toyota dealership, offers new, used and certified pre-owned cars. We're part of Baxter AutoHorsepower calculations based on trim engine configuration. Fuel economy calculations based on original manufacturer data for trim engine configuration. Please confirm the accuracy of the included equipment by calling us prior to purchase. Third Row Seat, Navigation, Moonroof, Heated Leather Seats, Rear Air, Aluminum Wheels, ALL WEATHER FLOOR LINER PACKAGE, Power Liftgate. SE trim, SUPER WHITE exterior and BLACK interior. FUEL EFFICIENT 24 MPG Hwy/18 MPG City! AND MORE!KEY FEATURES INCLUDELeather Seats, Third Row Seat, Quad Bucket Seats, Power Liftgate, Rear Air. Rear Spoiler, Power Third Passenger Door, All Wheel Drive, Aluminum Wheels, Privacy Glass.OPTION PACKAGESSE PREFERRED PACKAGE Lane Change Assist, HomeLink, electrochromic rearview mirror, Smart Key w/Push Button Start, remote illuminated entry, Convex Outside Rear View Mirror, Radio: Entune 3.0 JBL Premium Audio, navigation, 7 high resolution touch-screen display, AM/FM CD player, auxiliary audio jack, Apple CarPlay, Amazon Alexa compatibility, USB 2.0 port w/iPod connectivity and control and 10 speakers, Power Tilt/Slide Moonroof, ALL WEATHER FLOOR LINER PACKAGE all-weather floor liners and cargo liner. Toyota SE with SUPER WHITE exterior and BLACK interior features a V6 Cylinder Engine with 296 HP at 6600 RPM*.EXPERTS REPORTEdmunds.com explains A strong V6 makes the Sienna one of the quickest minivans on the market.. Great Gas Mileage: 24 MPG Hwy.OUR OFFERINGSLegends Toyota, an award-winning, full-service Toyota dealership, offers new, used and certified pre-owned cars. We're part of Baxter Auto, a Midwest dealer group serving Kansas City, KS, Omaha, NE and Lincoln, NE. At Legends Toyota, we're driven to be the best Toyota dealer in Kansas City. We're conveniently located at 10100 Parallel Parkway, Kansas City, KS 66109, just north of I-70. Shop our inventory online and request an e-price.Horsepower calculations based on trim engine configuration. Fuel economy calculations based on original manufacturer data for trim engine configuration. Please confirm the accuracy of the included equipment by calling us prior to purchase. Third Row Seat, Moonroof, Navigation, Heated Leather Seats, Power Liftgate, Rear Air, 2ND ROW CAPTAINS SEATS, SAFETY & CONVENIENCE PACKAGE, Trailer Hitch. MIDNIGHT BLACK METALLIC exterior and GRAPHITE interior, Limited trim. CLICK NOW!KEY FEATURES INCLUDELeather Seats, Third Row Seat, Power Liftgate, Rear Air, Heated Driver Seat Rear Spoiler, Sunroof, 4x4, Aluminum Wheels, Privacy Glass.OPTION PACKAGESSAFETY & CONVENIENCE PACKAGE outside mirror memory, Radio: Premium Display Audio w/Nav/Entune/JBL, amplifier, AM/FM CD Player w/MP3/WMA playback capability, touch-screen display, auxiliary jack, USB 2.0 port w/increased charging capability and iPod connectivity and control, hands-free phone capability, phone book access and music streaming via Bluetooth wireless technology, and voice recognition (integrated backup camera vehicle dependent), The Entune App Suite includes Bing, iHeartRadio, MovieTickets.com, OpenTable, Pandora, Yelp and Facebook Places (on CY13 audio only); real-time info including traffic, weather, fuel prices, sports and stocks, Two-Position Power Memory Driver's Seat, ALL-WEATHER FLOOR LINER PACKAGE Door Sill Protectors, All-Weather Cargo Mat, All Weather Floor Liners, 2ND ROW CAPTAINS SEATS 7 passenger. Toyota Limited with MIDNIGHT BLACK METALLIC exterior and GRAPHITE interior features a 8 Cylinder Engine with 381 HP at 5600 RPM*.OUR OFFERINGSLegends Toyota, an award-winning, full-service Toyota dealership, offers new, used and certified pre-owned cars. We're part of Baxter Auto, a Midwest dealer group serving Kansas City, KS, Omaha, NE and Lincoln, NE. At Legends Toyota, we're driven to be the best Toyota dealer in Kansas City. We're conveniently located at 10100 Parallel Parkway, Kansas City, KS 66109, just north of I-70. Shop our inventory online and request an e-price.Horsepower calculations based on trim engine configuration. Please confirm the accuracy of the included equipment by calling us prior to purchase. NAV, Sunroof, Heated/Cooled Leather Seats, Tow Hitch, Alloy Wheels, Back-Up Camera, 4x4. Limited trim, CLASSIC SILVER METALLIC exterior and BLACK GRAPHITE interior. Warranty 5 yrs/60k Miles - Drivetrain Warranty; READ MORE!KEY FEATURES INCLUDELeather Seats, Navigation, Heated Driver Seat, Cooled Driver Seat, Back-Up Camera Rear Spoiler, MP3 Player, Sunroof, 4x4, Onboard Communications System. Toyota Limited with CLASSIC SILVER METALLIC exterior and BLACK GRAPHITE interior features a V6 Cylinder Engine with 270 HP at 5600 RPM*.WHY BUY FROM USLegends Toyota, an award-winning, full-service Toyota dealership, offers new, used and certified pre-owned cars. We're part of Baxter Auto, a Midwest dealer group serving Kansas City, KS, Omaha, NE and Lincoln, NE. At Legends Toyota, we're driven to be the best Toyota dealer in Kansas City. We're conveniently located at 10100 Parallel Parkway, Kansas City, KS 66109, just north of I-70. Shop our inventory online and request an e-price.Horsepower calculations based on trim engine configuration. Please confirm the accuracy of the included equipment by calling us prior to purchase. Sunroof, Keyless Start, Dual Zone A/C, All Wheel Drive, ALL WEATHER LINER PACKAGE, Alloy Wheels, iPod/MP3 Input, Back-Up Camera. BLUE FLAME exterior and BLACK interior, XLE Premium trim. EPA 33 MPG Hwy/25 MPG City! SEE MORE!KEY FEATURES INCLUDEPower Liftgate, Back-Up Camera, iPod/MP3 Input, Keyless Start, Dual Zone A/C Rear Spoiler, MP3 Player, Sunroof, All Wheel Drive, Onboard Communications System.OPTION PACKAGESALL WEATHER LINER PACKAGE Cargo Liner, All Weather Floor Liners. Toyota XLE Premium with BLUE FLAME exterior and BLACK interior features a 4 Cylinder Engine with 203 HP at 6600 RPM*.EXPERTS REPORTEdmunds.com's review says The RAV4 has one of the most spacious cabins in the segment drivers and adult passengers should have plenty of room.. Great Gas Mileage: 33 MPG Hwy.VISIT US TODAYLegends Toyota, an award-winning, full-service Toyota dealership, offers new, used and certified pre-owned cars. We're part of Baxter Auto, a Midwest dealer group serving Kansas City, KS, Omaha, NE and Lincoln, NE. At Legends Toyota, we're driven to be the best Toyota dealer in Kansas City. We're conveniently located at 10100 Parallel Parkway, Kansas City, KS 66109, just north of I-70. Shop our inventory online and request an e-price.Horsepower calculations based on trim engine configuration. Fuel economy calculations based on original manufacturer data for trim engine configuration. Please confirm the accuracy of the included equipment by calling us prior to purchase. Navigation, Heated/Cooled Leather Seats, Sunroof, Keyless Start, iPod/MP3 Input, Heated Rear Seat, ADVANCED SAFETY PACKAGE. RUBY FLARE exterior and COGNAC interior, Hybrid Limited trim. FUEL EFFICIENT 43 MPG Hwy/43 MPG City! CLICK ME!KEY FEATURES INCLUDELeather Seats, Navigation, Heated Driver Seat, Heated Rear Seat, Cooled Driver Seat, Hybrid, Premium Sound System, Satellite Radio, iPod/MP3 Input, Keyless Start, Dual Zone A/C, WiFi Hotspot, Cross-Traffic Alert, Smart Device Integration, Lane Keeping Assist MP3 Player, Sunroof, Onboard Communications System, Chrome Wheels, Keyless Entry.OPTION PACKAGESADVANCED SAFETY PACKAGE. 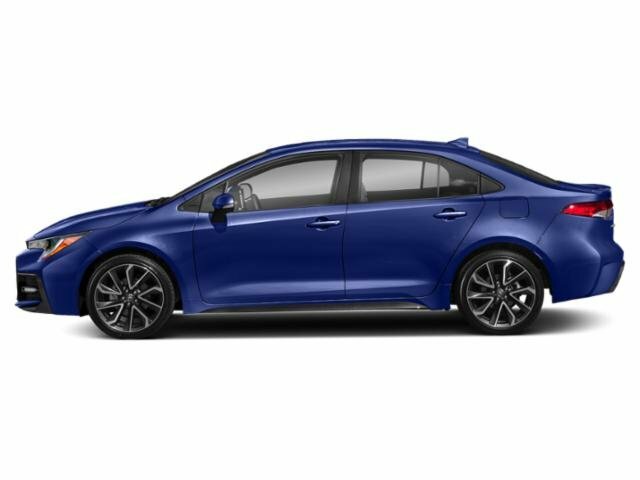 Toyota Hybrid Limited with RUBY FLARE exterior and COGNAC interior features a 4 Cylinder Engine with 215 HP at 5700 RPM*.VEHICLE REVIEWSGreat Gas Mileage: 43 MPG City.WHO WE AREBaxter Toyota Lincoln, a full-service Toyota dealership, offers new, used and certified pre-owned cars. We're part of Baxter Auto, the largest dealer group in Nebraska. You can shop the complete lineup of new Toyota models in our showroom or walk our lot to browse our selection of used vehicles.Horsepower calculations based on trim engine configuration. Fuel economy calculations based on original manufacturer data for trim engine configuration. Please confirm the accuracy of the included equipment by calling us prior to purchase.